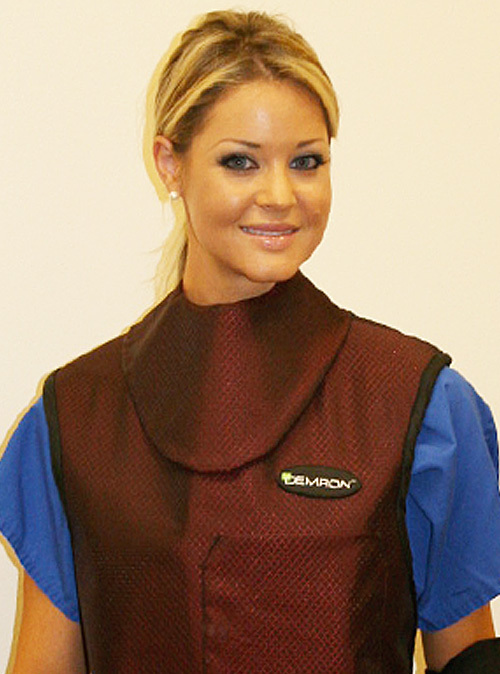 All medical aprons should be worn with a thyroid protector. The Demron® Thyroid Collar provides .5 mm lead equivalent protection to the thyroid. This accessory comes standard with the vest and skirt combination and can be purchased separately for use with the flex apron.